Hot and delicious meals are available at many locations in Santa Claus. 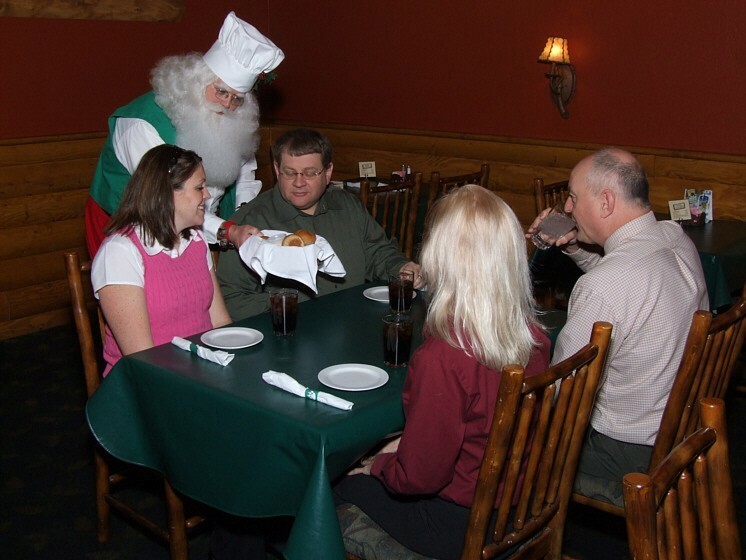 Among them are: St. Nick’s Restaurant, located downstairs in Santa’s Lodge, offers a family-friendly, Christmas-themed restaurant for steak and chicken entrees as well as a full menu of delicious items. Buffets are also available. The Santa Claus American Legion offers tasty pizza, burgers, tenderloins, chicken dinners, and more! At Brick Oven Pizza enjoy a hot, fresh pizza or cool down with a scoop of flavorful ice cream. Be sure to check out the buffet for a taste of everything! Enjoy Subway’s fast and fresh subs, wraps, and salads: made your way right as you watch. 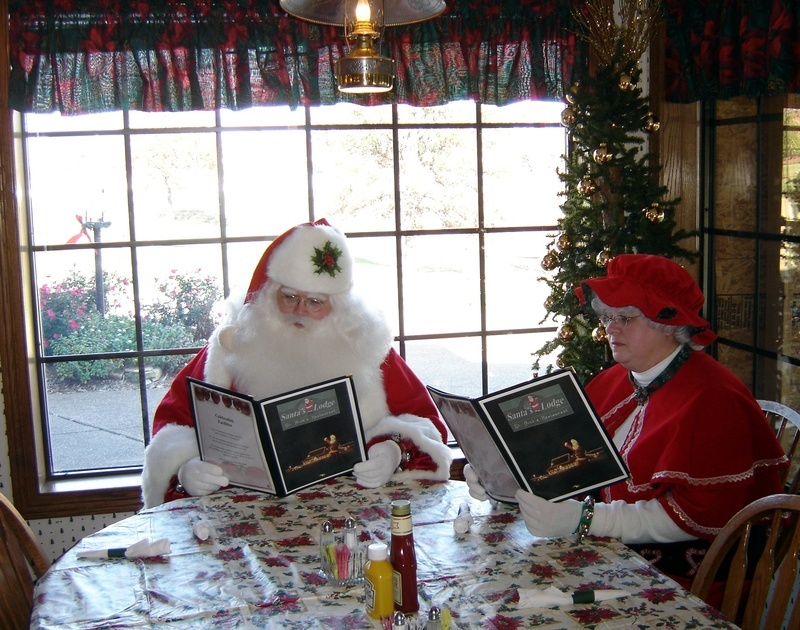 Each morning a breakfast buffet will be available at St. Nick’s Restaurant, located downstairs at Santa’s Lodge. The breakfast buffets will start service at 7:00 AM. Lunches are available at the Santa Claus American Legion, Subway, Brick Oven Pizza, and at St. Nick’s Restaurant daily starting at 11:00 AM. Each evening a dinner buffet will be available or order off the menu at St. Nick’s Restaurant starting at 4:30 PM. All meals and gratuities expenses are the sole responsibilities of each individual.